You may recall that I’m trying out a subscription to a monthly box of paper goods from OliveBox. Click here to see what I got for January and December. 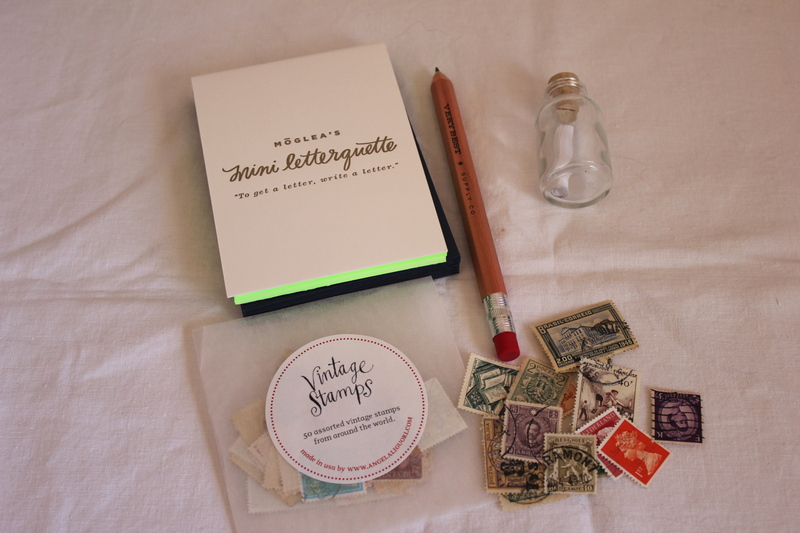 For February, I received this box of goodies, which included a message in a bottle, a mechanical pencil that looks like a giant wooden pencil, an envelope of vintage stamps, and a letterpressed letterquette. The message in the bottle actually has a message. It says “You Are Loved.” How sweet and comforting is that. 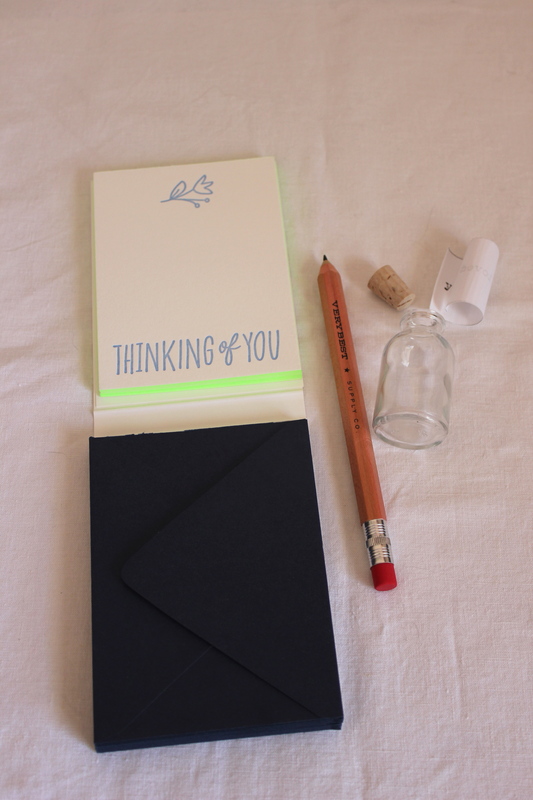 And the letterquette is an actual glue-bound pad of letterpressed notecards with bright green edge painting and a glue-bound pad of envelopes. Such a clever set! Each month keeps getting better and better! Love the box of goodies! I may have to try this one out. I love the idea of subscription boxes but have only seen make up ones. A creative subscription would be perfect. I need to get used to blog lines. I just have the hardest time with it. I miss my Google Reader! I tried a quiltybox subscription but stopped after two months. This looks WAY more interesting! That’s a bummer, Cindy. Did their subscription just go “out of business”? I’m really impressed with this paper goods subscription from Olive Box. They share a nice variety of high quality products, all of which I’ve used already.